Michael A. Hayes Jr., 80, passed away at his home in Trumbull, CT, on May 17, 2015, with his loving wife of 52 years, Sheila Hagan Hayes, and daughters by his side. Michael, Mickey to his longtime friends, was born in the Bronx on June 14, 1934, the second child and only son of Michael Sr. and Mary (Ross) Hayes. The New York Catholic schoolboy grew into a Fordham man, graduating from Fordham Prep, receiving his bachelor's degree from Fordham University, and his law degree from the Fordham Law School. After graduating from Fordham University, Michael served in the United States Air Force, where he rose to the rank of Captain and achieved the triple rating of pilot, navigator and bombardier. During his college and Air Force years he met some of the greatest friends of his life, including classmate James Hagan, who introduced Mike to his sister, Sheila. The two were married in New York City three years later. Admitted to practice law in New York in 1961, Michael decided to follow in the footsteps of his father, one of the great New York City trial lawyers of his time. 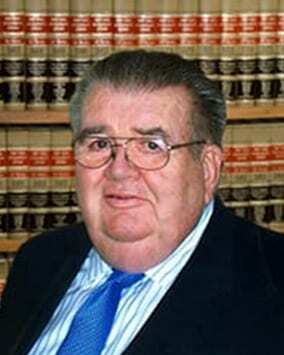 During a distinguished career as a trial attorney for more than four decades, Michael was a partner at Wilson & Bave and then at McCabe & Mack LLP. 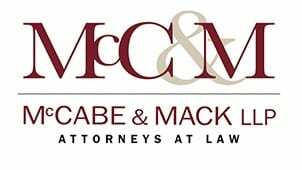 He became Of Counsel at McCabe & Mack in 2005. His numerous professional involvements included past national delegate and past president of the New York City chapter of the American Board of Trial Advocates. Early in his career, he was active in local politics. More than anything, Michael will be remembered for his incredible wit, with an endless repertoire of one-liners easing even the most solemn occasions. To remember Michael is to remember laughing. Michael was a loving husband to his wife Sheila, and doting father to his three daughters, Laura, Allison, and Susannah. He was the pre-game breakfast maker, a fixture on the sidelines at their matches, and happily spent countless hours volunteering, stopwatch in hand, at their swim meets. Impressively agile on the paddle tennis court, Michael was inducted into the Hall of Fame of the Briarcliff Manor Paddle Tennis League. He was an award-winning photographer, and enjoyed the New York Yankees, especially during Billy Martin's tenures. In his later years, he had the pleasure of seeing his seven grandchildren blossom. He is survived by his beloved wife Sheila and his daughters, Laura Hayes Morgan (Reginald), Allison Hayes Palsho (Chuck), and Susannah Hayes Jones (John); his sister, Eileen Quinn (John), and his grandchildren Charlie, Jake, Jack, Hayley, Michael, Henry and Fiona. He is also survived by his beloved nieces and nephew, Victoria, Christine, Marianne, Joanna, Moira and Kevin.